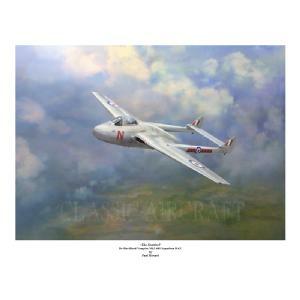 601 squadron DH Vampire Mk3. 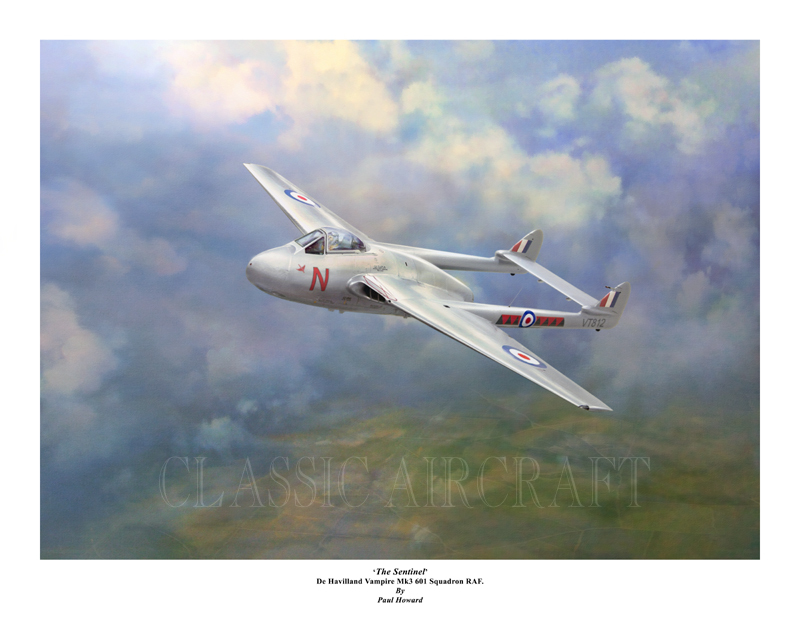 Print depicts a RAF Vampire of the County of London squadron, Auxiliary Air Force whilst based at North Weald airfield in the early 1950's. Giclee fine art print on 300gms, 100% cotton paper, limited to 200 prints . Overall size 20x16.